Vice-president (external) candidates shared their platform points and views on partisan behaviour during the Myer Horowitz Forum. Candidate Jimmy Thibaudeau, a current Education councillor, mentioned for the first time in the campaign period his plan to create a catalogue of all financial aid students could receive to alleviate their tuition. He said this would include everything from scholarships to tax credits offered to students. 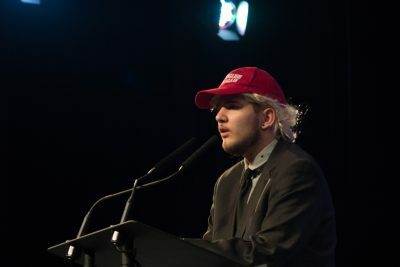 Adam Brown, a candidate, and the Campus Saint-Jean faculty association president, reinforced his platform points while expressing his desire to take action on issues. He said the time for student consultation and research is over. Candidate and vice-president (social) of the Undergraduate Psychology Association Esther Thieba told the audience more about her background and how it would translate to an advantage. 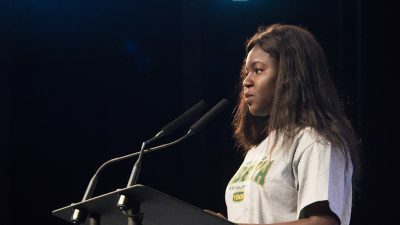 As a former Augustana and Campus Saint-Jean student, Thieba said she knows the concerns all U of A students are facing. 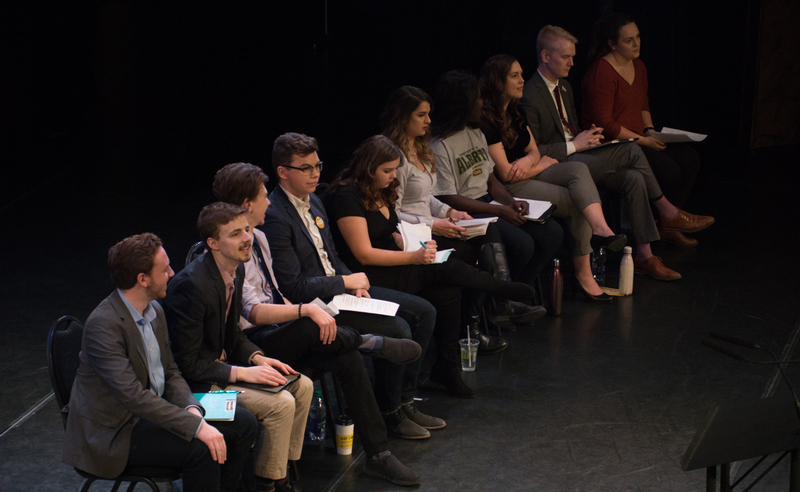 A student from the audience questioned candidates about any past provincial or federal partisan affiliation or behaviour they’ve had, and how they would navigate this if elected. “I do not particularly believe in partisanship,” Thibaudeau said. Thibaudeau also said he would continue to advocate without picking a side so he could represent all students if elected. According to him, he would continue to be impartial like he was during his two-year tenure with the Education Students’ Association. 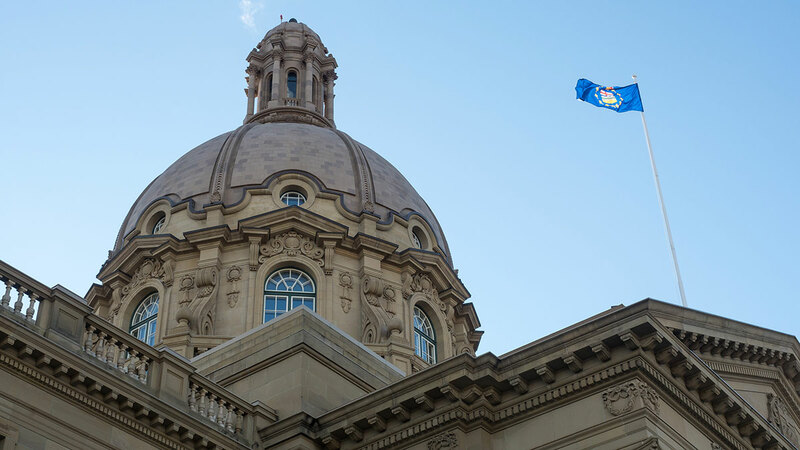 On the other hand, Brown said he has been a member of the Progressive Conservatives. 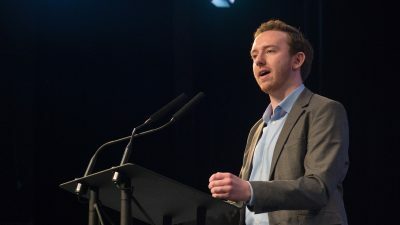 “Once Jason Kenny won the leadership I decided to take a step back because that was not a place I thought my voice would be represented,” he said. Thieba said she has never been partisan and does not plan to be in the future. She said her loyalty lays only with the students she would represent if elected. Another question from the audience dealt with the U of A’s lack of leadership in urban food production and how the university’s strategic food policy is set to expire this year. While asked how they would address this issue, all the candidates admitted they were not familiar with the specifics of this concern. Thieba emphasized the need for more student consultation and conversations with various stakeholders, like the municipal government and university administration, before making any decisions. The first step Thibaudeau addressed was the need for extensive student feedback to get a better understanding of their priorities on the issue. 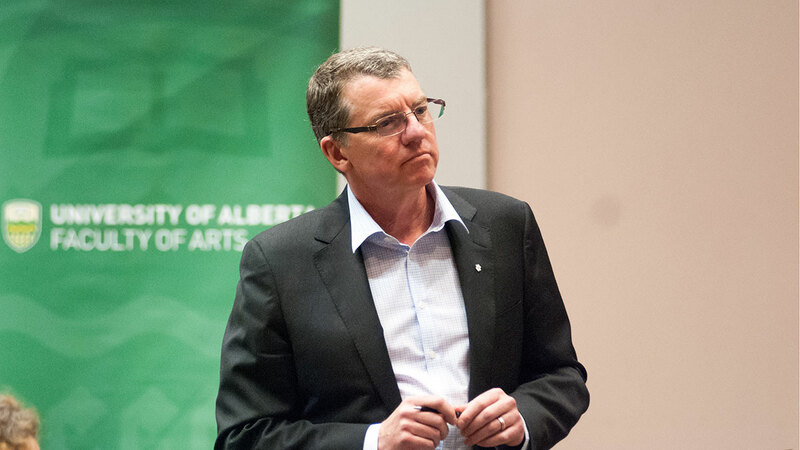 Brown said student nutrition is important and mentioned how the University of Calgary had an urban chicken plan which he would need to learn more about before moving forward. 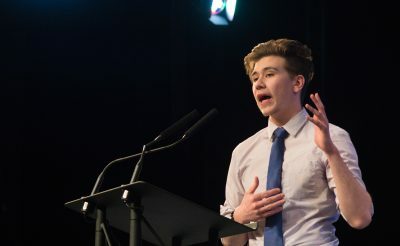 The vice-president (academic) race didn’t seem to be on the top of students’ minds at this forum, with only two questions being directed to the candidates. 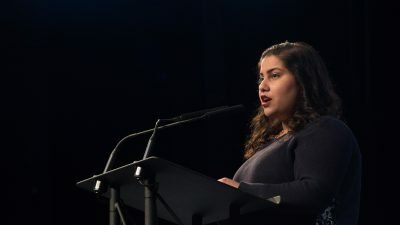 In their opening statements, the three candidates reiterated the platform points they’ve emphasized at previous forums, with Cristiana Pop and Akanksha Bhatnagar rehashing their plans to collect more demographic information on students, increase the use of open educational resources, and highlight the importance of diversity. 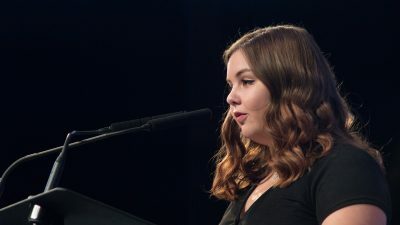 On the other hand, Tiffany Bruce told the audience more about her background as a science student and repeated her plan to create a 24-hour mental health hotline. During question period, the candidates were asked what actions they have taken to have a diversity of voices in their campaigns. Pop, who is currently a councillor with the Campus Saint-Jean faculty association, said she met with the leaders of most faculty associations in the lead up to the election. 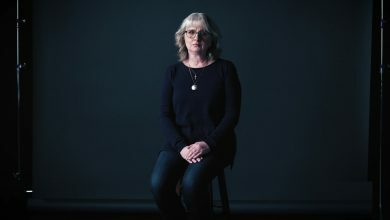 Pop also said she tried to approach as many student groups as possible, including the International Students’ Association and Aboriginal Student Council. In terms of her campaign team, she said she has members from many different faculties including Faculté Saint-Jean and Business. In her answer, Bruce focused on her platform and said she consulted with different groups. 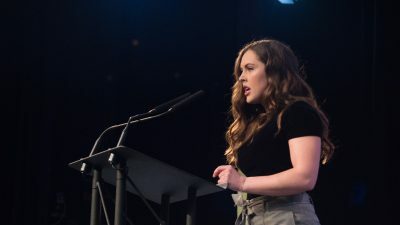 “I don’t have points on my platform specifically targeted to a certain group because I want to make sure academics at the U of A are as accessible to Indigenous students, international students, LGBTQ students, and all students,” she said. Bhatnagar started her answer by saying diversity is more than race and gender. She said her core campaign team includes people from across campus. To demonstrate her support for LGBTQ rights, Bhatnagar said she has included her pronouns on her campaign posters. Bhatnagar also said she doesn’t like the word consultation because of its background in colonization and uses the term “relationship building” instead. 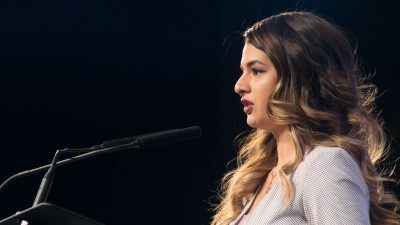 That is why the Aboriginal Student Council president and Native Studies Students’ Association president and executives wrote her reconciliation policy, she said, because they’re the experts. 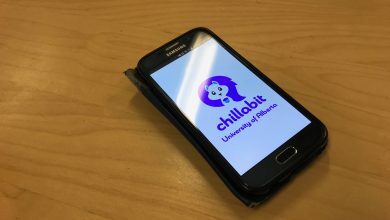 The candidates were also asked why they think they would be able to implement interdisciplinary Indigenous content, when other vice-president (academic) candidates have not made progress on that issue. Because of problems in the past, Bhatnagar said it’s not easy to find Indigenous scholars who are willing to put their full effort into creating programs that the university may or may not support. She said it comes down to giving Indigenous students and scholars the power to create those programs. In her answer, Pop reiterated what she’s said at other forums about her experience working on research on the roles of Indigenous women, as well as her current internship with Reconciliation in Solidarity Edmonton. Finally, Bruce said Indigenous content needs to be faculty specific to “truly spark” the interests of students. 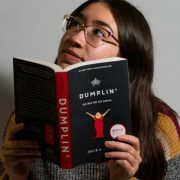 She said she would create a task force of 20 to 30 people, including Indigenous students, elders, and allies, to make decisions about what interdisciplinary Indigenous content should look like. “I’m going to say I’m not the person to make decisions as to what this content should be,” she said. Vice-president (student life) candidates discuss sexual assault services and LGBTQ student issues. The university’s handling of sexual assault was focused on at this forum. 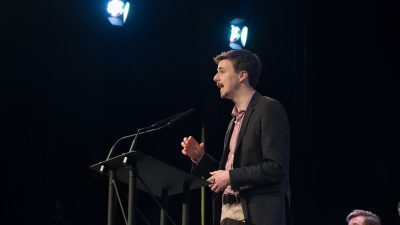 In his opening statement, current SU event organizer and candidate Andre Bourgeois advocated for improved sexual violence prevention on campus, citing a recent Maclean’s article on insufficient support at Canadian universities for sexual assault victims. Bourgeois said he wants to create a Sexual Assault Response Coordinator position to establish a “culture of consent”, educating staff and students on prevention and response procedures. 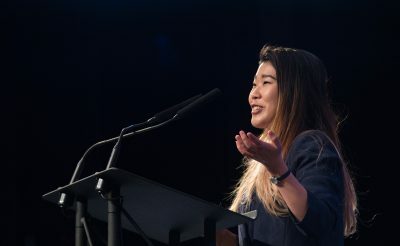 Fellow candidates Michelle Kim and Stephen Raitz seconded Bourgeois’ idea, stating they would similarly fight to create the position if elected. When asked for tangible actions to improve non-binary student experiences on campus, Kim highlighted her platform’s focus on creating gender-neutral washrooms. Kim, who is the current president of the HUB Community Association, also explained that many university documents still fail to use students’ preferred name and pronouns, she promises to work with administration to change this. Raitz said his experience as an urban planning student is advantageous in advocating for student-oriented spaces. He promised to examine the experiences of non-binary students and ensure concerns are met when it comes to building maintenance projects. On easing The Landing’s potential transition from a non-profit operating outside the Students’ Union to an SU service, both Kim and Raitz promised to investigate potential funding and administrative issues that may hinder transition. Bourgeois said his involvement facilitating the merge between Orientation and the SU supported Week of Welcome would an asset in working on The Landing’s transition. He said he would ensure effective communication to smooth what he believes will be a multi-year transition. Candidates were also grilled on their qualifications, with Bourgeois emphasizing his experience as an SU staff member organizing Week of Welcome, Campus Cup, and AntiFreeze. Kim said her experience as HUB Community Association president and as a member of the Council of Residence Associations makes her a strong advocate for residence issues. She has also worked as an SU services staff member and sat on the Council of Student Affairs, a role expected of the VPSL. While Raitz has not been directly involved in SU politics, he argues his “outsider” perspective gives him a better understanding of what students want. Raitz said his prior advocacy work on Lister 5 and meal plan changes makes him knowledgeable of residence issues, and that he has spent the last five months preparing for the VP SL position. Once again, joke candidate Donald Straump/Jesse Benoit started off the forum with a shock factor. Besides mentioning his classic “Make English French again” slogan, he ended his opening statement with a hard-hitting question that evoked cheers from the crowd. “After speaking at all these forums in French, how does it feel to be excluded?” he asked. Surprisingly, Straump focused on more serious platform points during this forum. He mentioned that only three candidates running in this election were from Campus Saint-Jean and described a lack of support for CSJ candidates. If elected, he promised to support future CSJ candidates and ensure a French campus presence in the Students’ Union. This is the first forum where candidate Emma Ripka, who is the Student Union’s business promotional coordinator, brought up creating more food options in Dewey’s and RATT, specifically mentioning increasing vegan options. She said she plans to execute this platform point by the summer and believes that creating more food options will be a win-win situation for both students and Students’ Union businesses. During question period, candidates were asked what tangible action they would take in facilitating equal treatment of all U of A campuses. 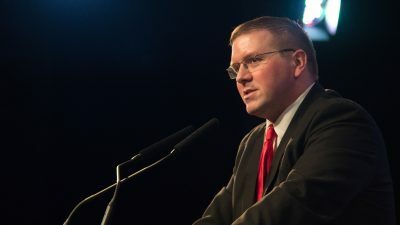 Straump once again took a serious approach to the question and claimed that the Students’ Union solely focuses their efforts on North Campus, leaving students at CSJ and Augustana to suffer. He also threw shade at the Student Union, claiming they didn’t put in the effort to take a 15-minute ride to CSJ. With only one question asked to them, the Board of Governors representative candidates were not particularly active in this forum. 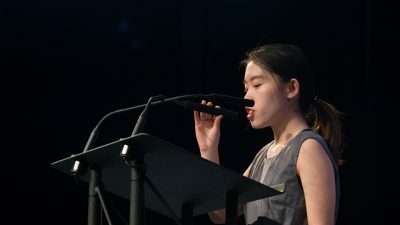 In previous forums, both have stuck to the same opening statements, and in the case of Yiming Chen, hers was scripted word for word. Today, Chen swayed from her original remarks, mentioning that she wants to be a leader for international students, not just a representative. “I know what students need and I want to make change for all of us,” she said. Levi Flaman started each of his previous opening remarks outlining the role of the Board of Governors Representative to the audience. But in this forum, he cut it short. Instead, he chose to address two issues which came up at the International Students Association forum. The first being how the candidates planned on swaying the Board of Governors to side with student representatives and the second being how SU representatives would respond if students protested rising international student tuitions. Flaman took the stance that he would stand with students should a protest occur. Current Board of Governors Representative Mike Sandare posed a question to the candidates asking how they’d react to a controversy in a board meeting during a closed session. Closed sessions in the Board of Governors must be confidential and participants are not permitted to share what occured. Chen seemed to not understand the question and said she would know her argument and build her negotiating skills in order to lead others to accept her idea. Flaman said he would abide by the policies and procedures of a closed meeting and not inform others about what occurred in the meeting apart from letting them know that something controversial came up. The Student Events Initiative was accused of a lack of transparency at this forum. 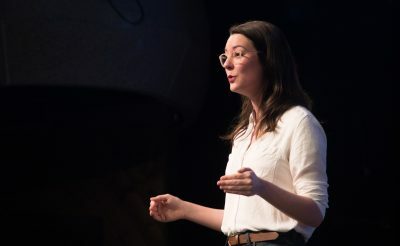 Represented by Daria Nordell, the Student Events Initiative (SEI) is a referendum question that seeks to transform the Myer Horowitz Theatre through renovations. It would also include a $100,000 grant for student groups to access and a $100,000 grant for more programming on campus. If passed, students would pay $8.25 per semester until the renovation is completed in 2020. After the renovation, students would pay $16.50 per semester. Kyle Monda, a student representative on General Faculties Council, said the price of the fee and the fee breakdown was not posted on the SEI website or social media pages until this weekend. Nordell has also failed to mention the price of the fee in any of her opening statements, including at today’s forum. 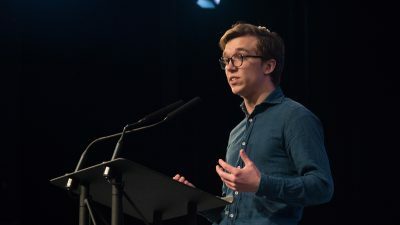 “While the theatre is obviously crumbling, how can you expect students to support this fee when you have not met the level of transparency required of other… fees or campaigns?” Monda asked.